A research meeting organized by the PSi Performance and Philosophy Working Group in cooperation with the Theatre Academy Helsinki and the Finnish Doctoral Programme for Music, Theatre and Dance. This research meeting seeks to address a core question: How might the performing arts transform the role of the citizen in contemporary society? Today, as global neo-liberalism and its critics suggest, every wo/man is a performer in his or her own life; every wo/man is an actor in both the private and public sphere. In other words, the performing body itself remains a battleground of debate. As obvious or familiar as such an argument may seem, this meeting begins from the premise that the dynamics and actual forms of this debate nevertheless tend to escape us. Throughout their modern history, the performing arts have displayed and tested the various ways in which the human body can resist appropriation by social norms, ideologies and oppressive political powers. However, it has arguably been much less clear what kinds of corporeality and concrete modes of being together have been positively defined, affirmed or called for. The contemporary quest for a new kind of citizenship, and a renewed idea of social and political responsibility, has struggled with a simultaneous allergy towards given models, utopian ideals and teleological goals, not to mention its resistance to education (paideia, Bildung) through and by means of art. Yet, since the programmes of early Romanticism, the necessity of some type of “aesthetic education” has been a more or less constant, underlying aspect of artistic revolutions – particularly, in the performing arts where the basic element of artistic operation is the acting and speaking human body. Every crucial change in this field, every new way of integrating a human body into a work of art as its constitutive element, has implied a more or less articulated idea of citizenship. Each new performance of corporeality suggests a way in which wo/man should take charge of his or her membership in a given society. To whom is contemporary performance addressed, if it is no longer to a supposedly universal subject or majority, in the form of spectators or audience? 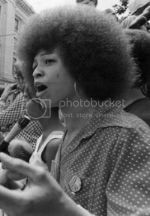 If it is no longer to a common denominator, a bourgeois subject or a global worker with his or her supposed needs and rights? 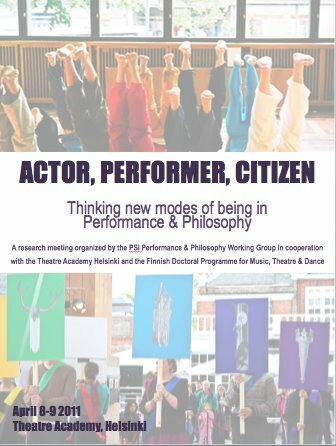 What new kinds of actor, performer or citizen might performance & philosophy affirm?